Of interest, helminth infections can cause a Loffler’s syndrome, also known as eosinophilic pneumonia, where you see a peripheral eosinophilia on the blood count and pulmonary infiltrates on the chest x-ray. Read more: Eosinophils in Chapter 80: Disorders of Granulocytes and Monocytes, Harrison’s Principles of Internal Medicine 19e. It comes down to coronary perfusion. Heart muscle needs blood and oxygen like any other muscle. In the case of the myocardium, coronary perfusion occurs during diastole, when the muscle relaxes. The pressure gradient between the aortic and left ventricular pressures drives blood forward through the coronaries. The coronary perfusion pressure, in the context of chest compressions, is that difference between at end-diastole, for example. In a normal heart, the gradient is present throughout diastole, so the myocardium gets lots of good, oxygenated blood throughout that part of the cycle (Figure 1). In severe aortic insufficiency, though, the blood from the aorta quickly rushes back into the ventricle during diastole, dropping the gradient between aortic and ventricular pressures to zero (Figure 2). The myocardium, therefore, only has a short period of time, in early diastole, to get that oxygenated blood. Beta blockade prolongs diastole and therefore prolongs the time that the coronaries aren’t being perfused. Based on that, some cardiologists (including where I trained) avoid beta blockers with the thought that they decrease coronary perfusion in severe AI and therefore promote ischemia. However, beta blockers also decrease myocardial oxygen demand. So, as with most things in medicine, it’s a balance, and there are few good clinical studies. Read more: Aortic Regurgitation in Chapter 283: Aortic Valve Disease, Harrison’s Principles of Internal Medicine 19e. In my simplified view, it comes down to GABA and NMDA receptors. Alcohol promotes GABA receptors (which are neuroinhibitory receptors) and inhibits NMDA receptors (neuroexcitatory receptors). Chronic alcohol use upregulates both, but maintains a semblance of balance between the two. Following alcohol withdrawal, the upregulated NMDA receptors are no longer inhibited by alcohol, so their overall activity increases. The GABA receptors are no longer being stimulated by alcohol. This imbalance of GABA and NMDA signals (with NMDA activity much greater than GABA activity) lowers the seizure threshold. The acute management and prophylaxis of withdrawal-related seizures, therefore, is typically to promote GABA activity with benzodiazepines, thus restoring the balance between GABA and NMDA signals and increasing the seizure threshold. Read more: Pharmacology and Nutritional Impact of Ethanol in Chapter 392: Alcohol and Alcoholism, Harrison’s Principles of Internal Medicine 18e. I even made up a mnemonic: Cloned Lambs Love To Visit Zoos. Also, rufinamide. Personally, never heard of it. What use is the alveolar gas equation? None! Just kidding; it’s useful for evaluating hypoxia because it can easily rule out hypoventilation as the cause. 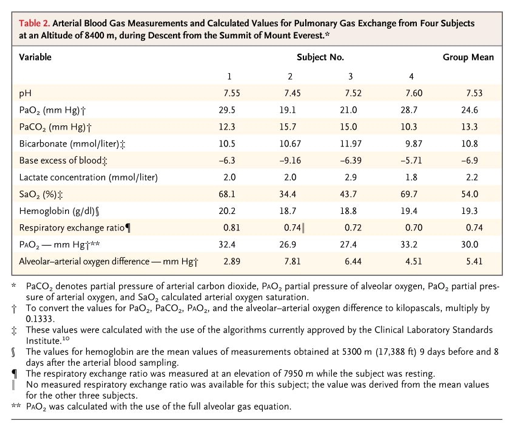 The use of the alveolar gas equation is in the A-a gradient, the difference between what the alveolar gas equation says your alveolar oxygen is and what your ABG says your arterial oxygen is. If there’s lots of oxygen getting to the alveoli, then you should have lots of oxygen in the blood. A normal A-a gradient is approximately (age / 4) + 4, so it should be about 9 for a healthy young 20-year old and 24 for an 80-year old. How is the A-a gradient useful? Well, there are only two things that cause hypoxia with a normal A-a gradient: hypoventilation (not moving enough air), and decreased PiO2 (that is, high altitude). Since I’m rarely doing my ABGs on a mountaintop, the A-a gradient is basically a quick and easy way to rule out hypoventilation as the cause of their hypoxia. Read more: Adequacy of Ventilation in Chapter 306e: Disturbances in Respiratory Function, Harrison’s Principles of Internal Medicine 19e. V/Q mismatch: Lungs autoregulate their circulation to match ventilation, so that low-oxygen blood only goes to the parts of the lung that have oxygen, which are usually the well-ventilated parts of the lung with lots of air moving in and out. If there’s extra oxygen diffusing to places that are poorly ventilated, it can cause vasodilation within that poorly-ventilated lung. As a result, blood is going to parts of the lung that aren’t well ventilated and can’t blow off CO2. Basically, it increases perfusion to physiologic dead space. Not good for getting rid of carbon dioxide. Haldane effect: hemoglobin binds both oxygen and carbon dioxide in order to deliver oxygen from the lungs to the tissue and take CO2 from the tissue to the lungs. Unfortunately, when there’s high O2, the Haldane effect means that hemoglobin isn’t as good at carrying CO2. When there is also poor ventilation, this causes CO2 to build up in the blood. Blunting of respiratory drive: respiratory drive is controlled by oxygen-sensing parts in the periphery and pH-sensing parts in the brain. It was once thought that chronic CO2 retainers lose their pH-based respiratory drive, and require their hypoxic drive to be working well in order for them to blow off any CO2. It turns out that this isn’t the case. Read more: Abdo WF, Heunks LM. Oxygen-induced hypercapnia in COPD: myths and facts. Critical Care. 2012;16(5):323. doi:10.1186/cc11475. Ventilation-perfusion (V/Q) mismatch: air isn’t getting to the parts of the lung that the blood is passing through. Causes includes pneumonia, asthma, COPD, ARDS, pulmonary embolism, heart failure, and interstitial lung diseases. V/Q mismatches usually respond well to supplemental oxygen. Right-to-left shunt: blood bypasses the lung altogether. This can happen due to an anatomic shunt in the heart itself as in an ASD, VSD, or PFO or in the lung vasculature through an AVM, or as a physiologic shunt due to severe pneumonia, ARDS, heart failure, or atelectasis. Because blood isn’t getting to the alveoli, supplemental oxygen doesn’t help–all it does it bring O2 to places without blood flow. Hypoventilation: the patient just isn’t moving enough air. It’s associated with an increase in CO2, and causes include CNS causes (sedation, stroke, tumours), neuromuscular disorders, airway obstruction (COPD, asthma, laryngospasm), and dead space ventilation. Diffusion defect: oxygen isn’t getting from the air to the blood. Causes include emphysema, PJP, atypical pneumonias, and pulmonary fibrosis. Low inspired oxygen content: high altitude! And not much else. Read more in Chapter 49: Hypoxia and Cyanosis in Harrison’s 19e. Those are some wild ABGs! If I saw those in a patient, I would be calling the ICU.